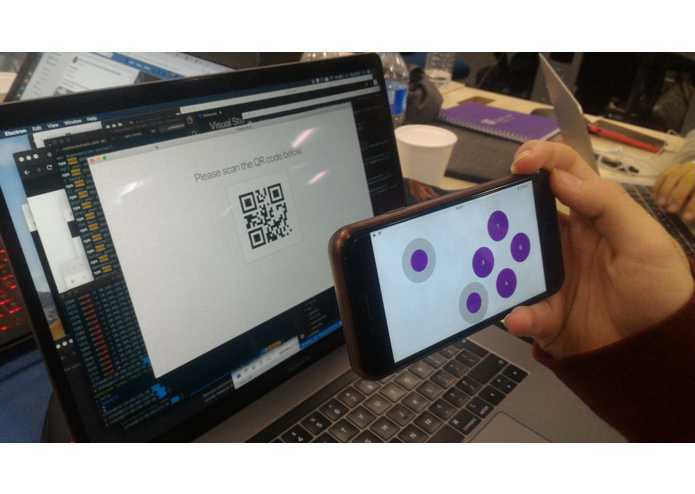 A desktop app shows a QR code, which can then be scanned with a mobile app. Once paired, the mobile device can then control the computer over WiFi, whether it's a single player controlling a keyboard or if it's 4 people playing a multiplayer game with virtual gamepads. Therefore, the mobile app acts similar to as a regular controller would.